Dealing with family problems can be complex and frustrating at times for any family, but for families that experience emotional abuse, mental abuse, emotional abuse, alcoholism, drug addiction for a few examples, the problems can be extremely magnified. For me dealing with my parents was a complex issue. I did not talk too much about it while they were alive because my hope was to see them come to Christ and I did not want to close the door. My father was an alcoholic who was usually withdrawn and occasionally abusive, and my mother had some sort of mental illness with mood swings and highly manipulative. A counselor pulled me aside once and helped me to see what was going on when I was in my early twenties. It came with a warning. “Take care of yourself or you will be dragged down,” Exact words. It makes a huge difference if the person who has harmed us shows regret and wishes they could atone for it or if they are unwilling to acknowledge their wrong. My father showed regret and towards the end of his came to Jesus. My mother never showed regret or acknowledge her wrongs. I share these things in hopes someone reading will benefit from what helped me the most. It was the example of Jesus. One day Jesus was ministering to people in a home and it was crowded. We read in Mark 3 about his family coming to get him. Jesus shared a truth that can be freeing. It is those who live the way God wants us to live and treat people the way God wants us to treat people that really matter in our lives. They are the ones we should look to, draw from, and let in. They are the ones we should listen to. There are good friends of mine at church. They are the ones I draw from, listen to, and let in. If someone wants to stay stuck in games, I will pray for them, but not involve myself with them much. To be fair to Jesus’s mother and brothers they did come around. Mary faithfully served him and was at the cross when he died. James became a leader in the early church. It seems it was more they did not fully understand and believe who Jesus was at the time they came to ‘get him’. But the example of how Jesus dealt with them in the moment gave me an example to follow that freed me from a lot. I hope by sharing this that it helps someone. I agree about forgiveness. One thought- What if a person never asks for it or acknowledges what that have done? 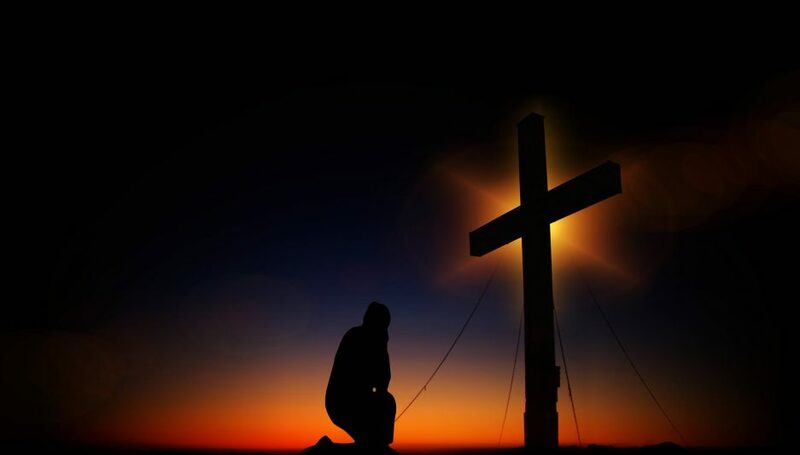 For a person to receive forgiveness from God they need to come to the cross of Jesus and ask God to forgive them. If a person rejects Jesus, there is no forgiveness from God. How does that apply to us in forgiving others? If a person refuses to acknowledge what they have done and does not show regret and ask for forgiveness what are we to do? Just some thoughts. Personally, it’s very difficult to continue without being understood. For where there is forgiveness there are offenders. In Matthew 21:12-13 in the temple where they were selling doves during the pass over week, selling to the poor, as offering for their sins, Jesus showed displease to the leaders of the church, the vendors. I believe that our defense on this earth is the word of God. When we know the word of God and we see people oppose that, our armor is to remind them of the goodness of God and everything about Jesus being our savior. Like how the word is changing us day by day. We can hope for the same hope that it do to them what it has done to us. It’s your thoughts that made me come up to mine. Thank you for sharing. God bless. Same here. Yes, I’ll try to make the most of it. All Glory to God! May you be in his protection.